This guide will cover their team, and if any special or particular tactics should be considered against them. Whether they have preset special teams, pull dirty tricks, or just employ a motley crue of Exiles. The Accusers are a mixed group of Nomads and Savages alike. 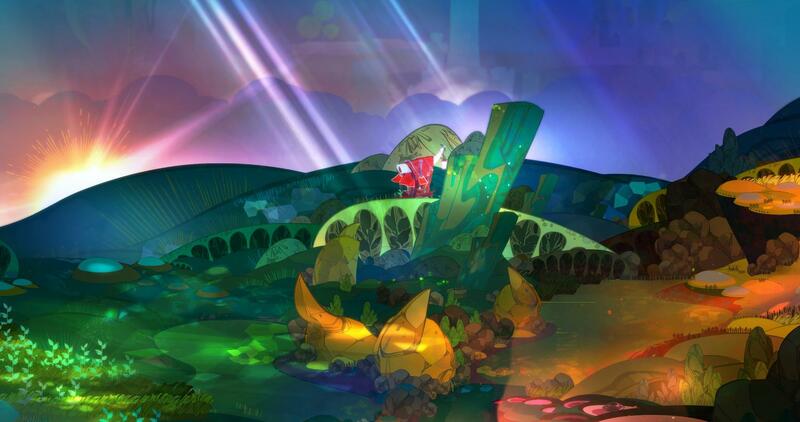 In the early stages of Pyre, they're fairly easy to best. Beware as the game progresses; enemies grow stronger with each victory, and the Accusers become very swift. Fate is a triumvirate constructed with a Cur, and a couple of Savages. Fate provides a slightly new experience, though, is still fairly quick to best early on. Later, the threat remains on the Savages. And beware, Dalbert still has a few tricks up his sleeve as well. The Dissidents are entirely comprised of Curs. All three are relatively quick, but lack any sort of presence unless grouped together. Their auras are more direct, but aren't entirely effective until the second, or third Rite with the Dissidents. They increase in speed, leading to who can douse the flame faster. The Withdrawn are driven by sinister forces rather than freedom. Their ranks compose of a Crone, and two Nomads. While the Crone will pose a significant threat to the player due to its unique aura, the Nomads shouldn't be a surprise. As the Withdrawn become more advanced, the Crone will advocate for diving techniques, leaping bounds over your Exiles - be weary. The Pyrehearts harbour three Wyrms. Their abilities compose of fleeting tactics; slithering up to the target, and bursting the leftover aura in hopes the Reader's exiles step into them by accident. Later on, Quickness is the only applicable tactic these Wyrms pose. Most flying, or agile exiles can best the pack of three. Comprised of three Harps, these foes pose an interesting threat the the Reader in their first Rite, as well as any that follow. Relatively unique auras similar to those of the Crones, "Tackle" abilities, and dashes create odd, messy Rites that end one-sided. Banish two to three at a time, and find yourself walking into their Pyre. Or, even so the opposite; Harps surrounding your dimly lit Pyre. Manley, and his motley crue of followers empoly interesting tricks during their time in the Rites with the Reader's Exiles. While Saps are not typically threatening, Manley is one trickster; reimagining the field on the first Rite, and regaining Pyre health at random during other Rites. When dueling him, make quick work of his triumvirate, and douse his flame swiftly. Found in later stages of the campaign, The Tempers are founded from Demons. Though, a few mixed faces are thrown in with the group, the Demon presence is understandably the greatest threat to the Reader. Fast runners are made quick work of by the 25+ sized auras of the large blockades called Demons. Divers make the swiftest victory against the clunky Exiles, and vast areas of unwalkable ground. Located in the Beyonder Crystal inside the wagon, the Beyonders are an opposing triumvirate for practice. They have a mixed selection of permanently banished exiles to play against. A great place to experiment! The last remaining member of the True Nightwings before your band of misfits. The main character is a Demon with an insanely large presence (40+), and a random selection of other exiles. Most likely Nomads & Savages. During seemingly random increments, The True Nightwings play dirty tricks on the Reader's Exiles. Banishing the party by lightening, and Pyre regeneration aren't out of the question. Passing the orb, and creating confusion among the enemy is the most efficient way to best this foe. Continue at your own discretion.